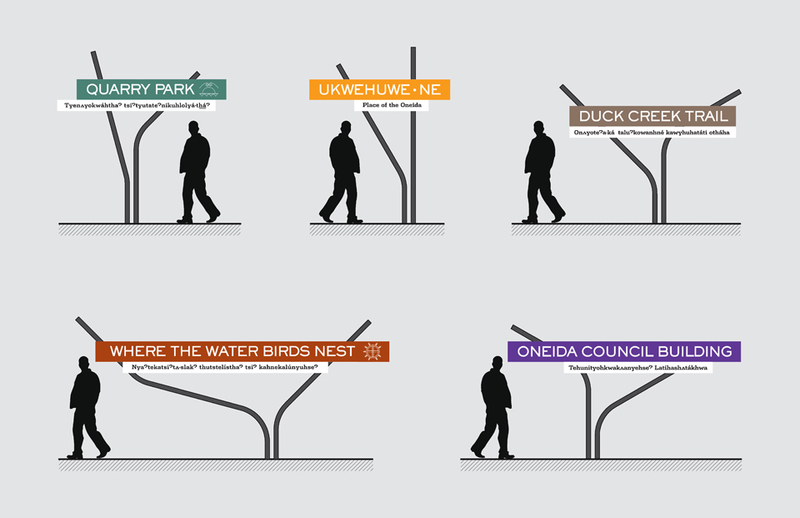 A proposed wayfinding signage system for the Oneida Tribe of Indians of Wisconsin. The design features two co-dependent systems; the formal bent-metal supports and the sliding split-level graphic elements. 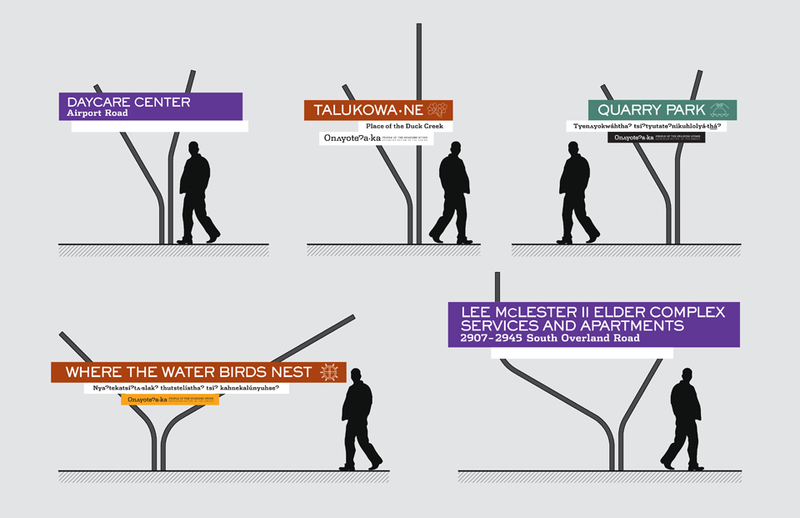 The bent-metal support system references trail marker trees (historic trees believed to have been bent irregularly as saplings and allowed to grow at an odd angle to demarcate trails) and can be fashioned in a variety of angles, lengths and configurations to support site specific signage. 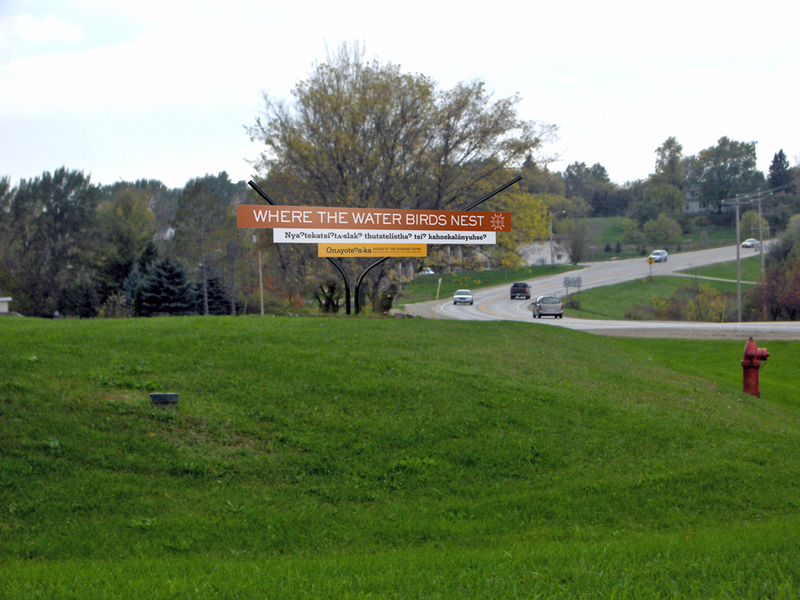 The symbolic formal expression also creates a high-visibility system. 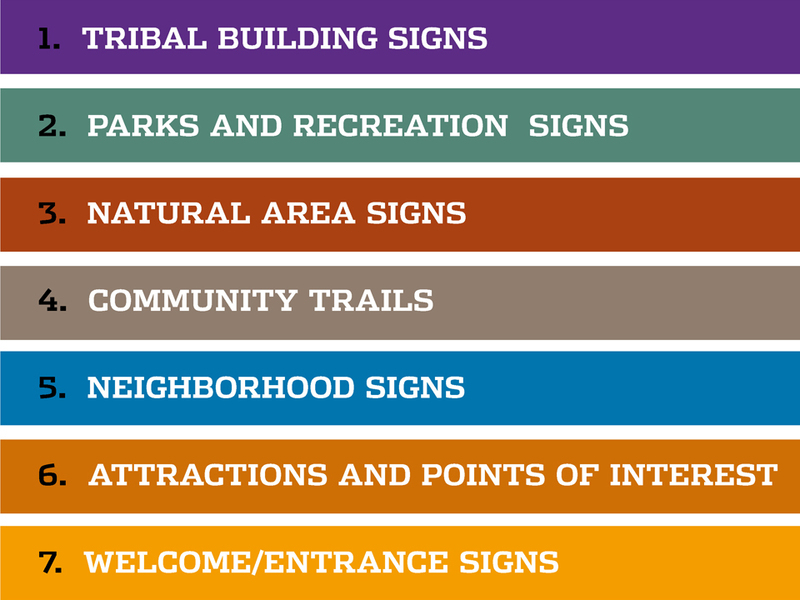 The split-level graphic system features wayfining information in English and the Oneida language, and is color-coded for quick reference. Additionally, the signs can be slid to create a formal composition and accommodate the angles of the bent-metal support system. 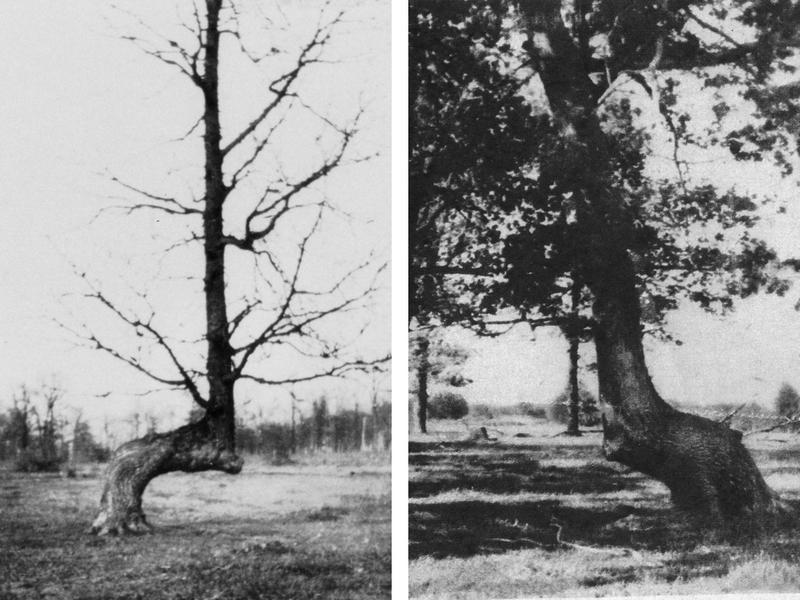 Two typefaces are interchangeably used (a serif and a sans serif) to differentiate between English and the Oneida language, while being mindful of both. 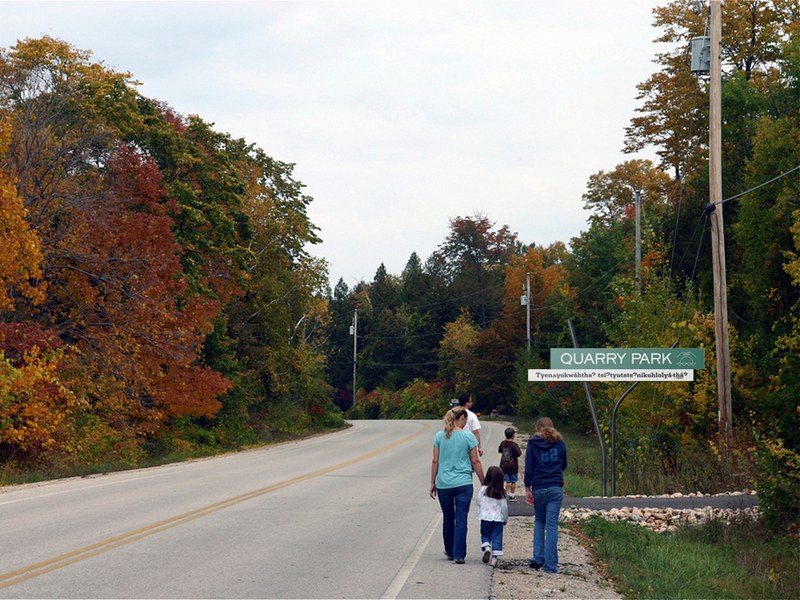 A third sans serif typeface is used sparingly as a sub-head when referencing and describing the “Oneida Tribe of Indians of Wisconsin.” This phrase is always typeset uniquely, and nothing else is ever to be typeset in Freight except this phrase, giving it purposes, presence and uniqueness.